Oh I so agree ! I admire Stephen Hawking – his brilliance is without question. His witty interaction with us common folks (like me) is enjoyable to see. Unfortunately I wasn’t born with the intelligence Professor Stephen Hawking naturally possess. Like Mr. Hawking, we can be born with physical limitations hindering our journey on earth. Fortunate for us, Stephen, ( if I may be so lucky to know him by his first name…sign) limitations has never stopped him from overcoming challenges to pursue his journey, studying dimensional universes and interacting with the world through the incredible linear tool of mathematics. Like Stephen, we all try our hardest to fit into the journey of life, presenting the world a digital footprint of ourselves. In return we hope our lives on earth will make some kind of impact, no matter how small or hard the journey is. I personally consider Stephen Hawking a “Super Hero” featuring strengths of endurance, wit and the ability to allow us to see the universe, through his brilliant mind. If you ever had the chance to watch the original (1990) science fiction film, Total Recall, you might remember the scene where hero Douglas Quaid finally meets up with mutant resistance leader, Kuato. It’s here where Kuato helps Quaid unlock his secret past and reveals the purpose of a reactor built by an ancient Martian species millions of years before. The famous dialogue by Kuato, as he mind-melts with Douglas Quaid (actor Arnold Schwarzenegger), ” Open your mind…open your mind…open your mind!” , is indeed how I refer dear Steven Hawking. He takes the time to “Open Our Minds” to the wonders of our dimensional universes, so we may understand the complexity of our natural cosmic plane of existence, including the mysterious Black Holes. This alone is an accomplishment in itself, never mind his own personal physical limitations, he has been dealt with, all his life. Mankind should listen to the warnings from Stephen Hawking, as we may one day be over-ruled, causing our own holocaust of humanity. We can all learn from Stephen Hawking and realize, in the end, we are all placed on earth for a reason. It’s up to us to unlock the mysteries of life using our very own unique gift, hidden with our GEO ( Gene Expression Omnibus) DNA. It’s vital, we overcome our limitations, striving for a better YOU, opening a new book of adventure. Our very own book of gifts, just waiting to be opened. Once you know your gift, you have the opportunity to share it with the rest of the world. And this is where I like to mention our friend Romeo Durscher, another brilliant mind, who has taken the time to share his experiences with all of us. His determination of excellence and adventure across our world surpasses anything I will ever experience in my lifetime. His commitment to share with us his worldly adventures with a humbling attitude, enriches our lives immensely. What makes Stephen Hawking and Romeo different from the rest ? Their intelligence far exceeds anything I’m personally capable of achieving, but they both take the time to bring their experiences down to our level of understanding. Why would I say this ? In my lifetime (60), through my life experiences and careers, I have met brilliant engineers, doctors, architects, professors and scientists who simply can’t relate to the average person. They think on a linear logical sense. Their intellect can easily be described as a “computer processor” who become frustrated when you can’t understand their level of reasoning. So when I meet incredible people like Romeo, I’m thankful to be able to associate with him on his social feed. To take the patience and time to explain the technical aspects, (through his career with NASA and now DJI) at our level of understanding, is indeed a blessing. Maybe one day Romeo will meet Professor Stephen Hawking, because I’m sure the two of them would have a lot to talk about. They might talk about the possibilities of receiving a signal from a planet like Gliese 832c, discussing our outcome. Or, how cool it would be, to see DJI drones record data and showcase remarkable videos back to Earth. Wouldn’t that be amazing ?! Anyway, thank you so much Romeo and Stephen Hawking, furthering our search for the truth in our little universe, enriching our thirst for knowledge, and to be able to understand it on our level. My passion is writing, from the beloved science fiction to real conflicts in our lives. It’s my hope you enjoy my passion and join me on my journey of scifi, like my screenplay, BLACK ANGELS. My journey of who we are and where did we come from, even though it may seem like science fiction to you. 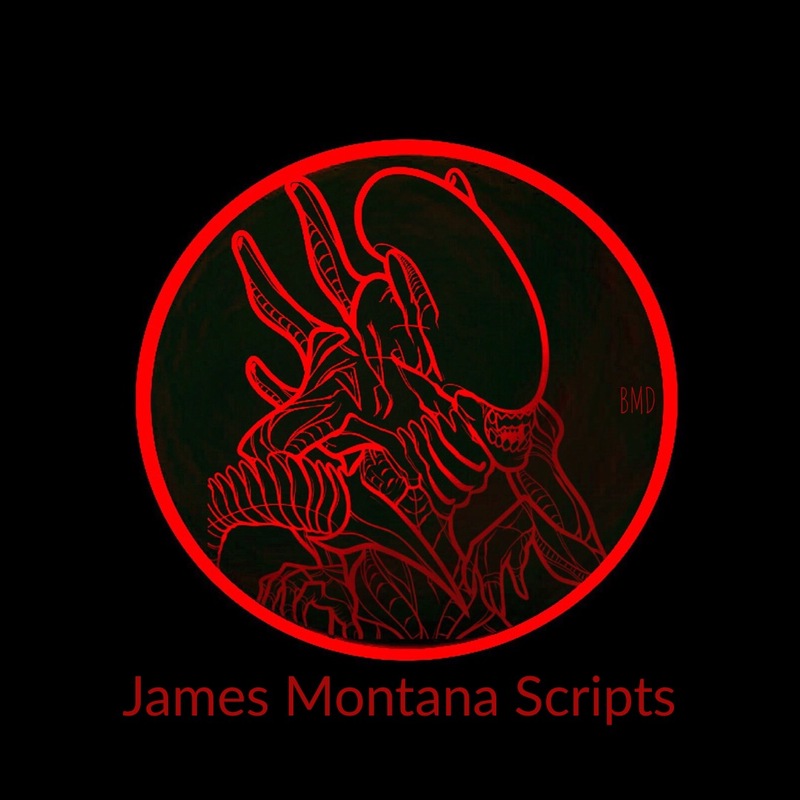 JAMES MONTANA SCRIPTS is my attempt to open your eyes, follow our dreams and share the emotionally turmoil which makes us human. It’s pretty crazy to think we are the ONLY intelligent species throughout our own cosmic universe. We know within our vast Milky Way expanse, it’s still impossible to reach end to end, using our present technology. But, in time, who knows what the future will bring. I will keep enjoying Romeo’s journey across our amazing world, learning the limitless ability of our technology, using DJI drones. May we be seeing DJI Drones on Mars in the near future Romeo ? True Friends are important in your social life. I’m grateful to have met Romeo, Mark, Abbe, Robyn, Adam, Jim, Virma (otherwise known as the V force) and GG (Gladys Georgina Santos). Our dear friend Robyn has been quite ill lately and I wish her a speedy recovery. After all she’s a Rocket Scientist. In the real world, I wouldn’t have met any of the above, if it wasn’t for Facebook. To actually have a chance to meet Professor Stephen Hawking, would be pretty amazing, to say the least. Have you met Professor Stephen Hawking? I would love to read your story. I hope you enjoy my stories from Dreams to Reality. If you do enjoy my work, please share with your friends. BTW – Lets get to MARS soon! I agree with Romeo – the conflicts between mankind must be resolved. It’s essential for the betterment of mankind.